LBP locksmith Brighton were called to a property in the Moulsecoomb area of Brighton for 2x UPVC door lock change. The customer wanted the locks changed as a tenant had recently moved out without returning the keys. 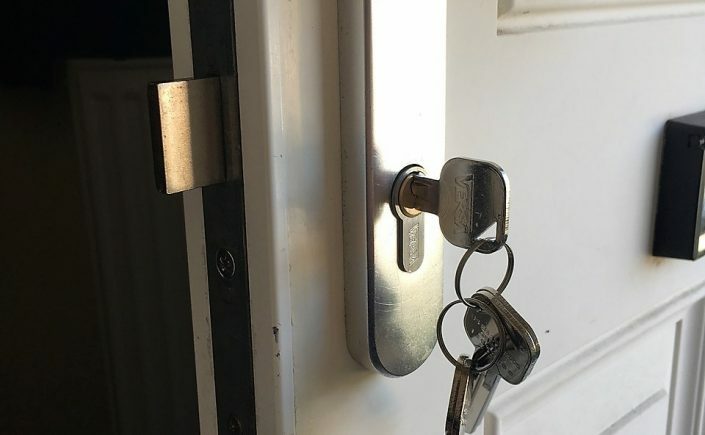 LBP locksmith Brighton attended the job within an hour of the customer’s call and completed the job there and then, giving the customer peace of mind that he was the only person with keys to his property. LBP locksmith Brighton attended a property close to Preston park in Brighton and performed a home lock replacement. 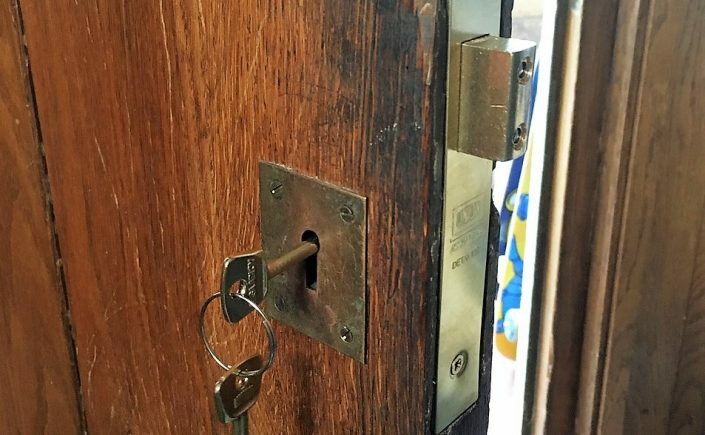 The customer had concerns that their lock wasn’t working properly and she was worried her or her family may end up locking themselves out in the not too distant future. The lock was a very high security detainer which are usually found on commercial premises like banks. The existing lock was pretty old (20 odd years) and need replacing. LBP locksmith Brighton replaced the lock at the best quoted price for parts and labour. 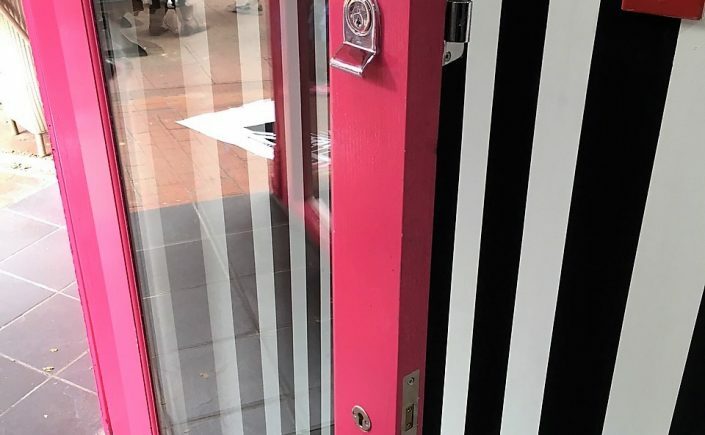 LBP locksmith Brighton recently performed a commercial digital code lock installation. 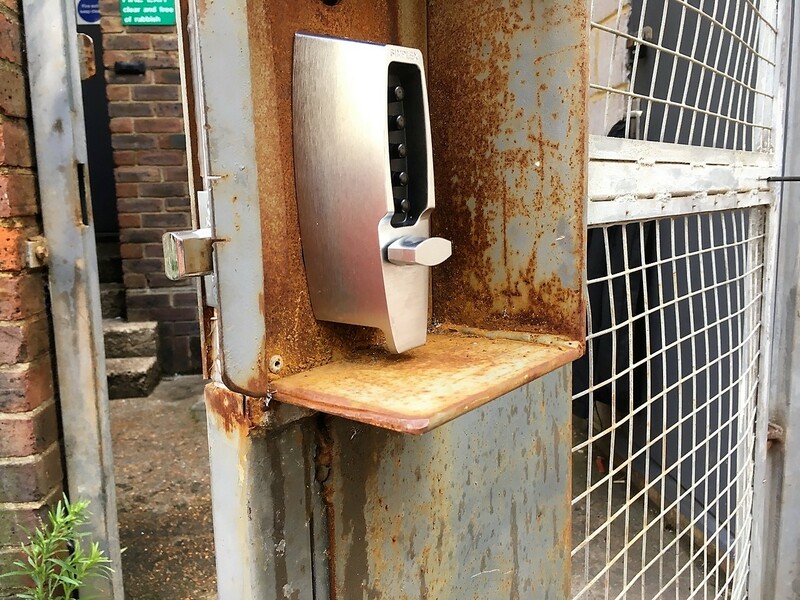 We installed this high security digital code lock at the rear entrance to several commercial premises. 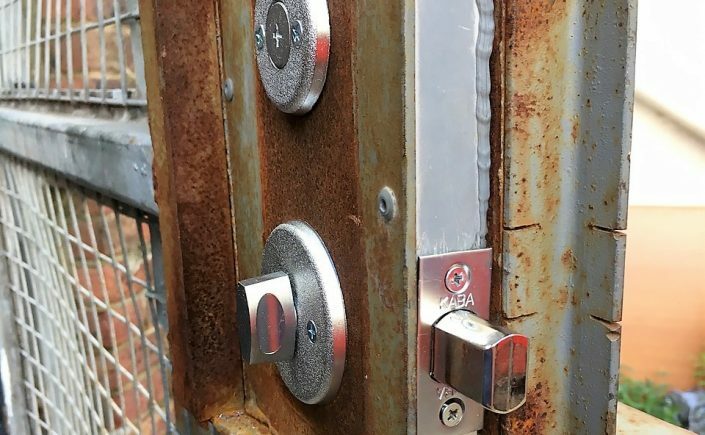 They needed a code lock because lots of different people use the gate to access various buildings and having a code rather than lots of keys is more convenient for all the business owners. Also if a particular staff member no longer works there, the code can easily be changed, whereas getting a key back from them which they may well have duplicated, might not be so easy. LBP locksmith Brighton performed a rim cylinder deadlock change in Brighton. 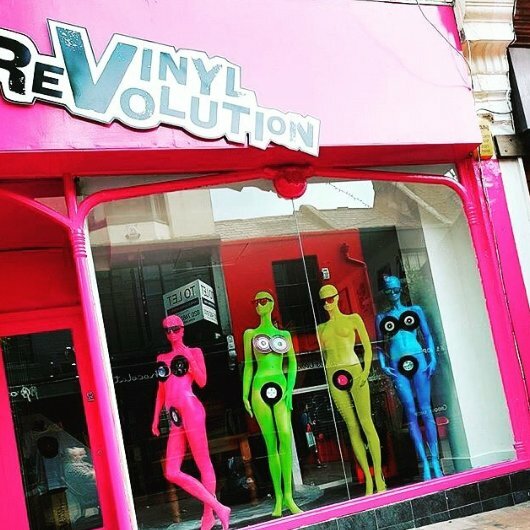 We changed a rim cylinder and a high security 5 lever deadlock at recently opened shop ‘Vinyl Revolution’ on Duke street in Brighton’s notorious lanes. If you need any lock change for your home or office, don’t hesitate to contact us. We’d be happy to help! 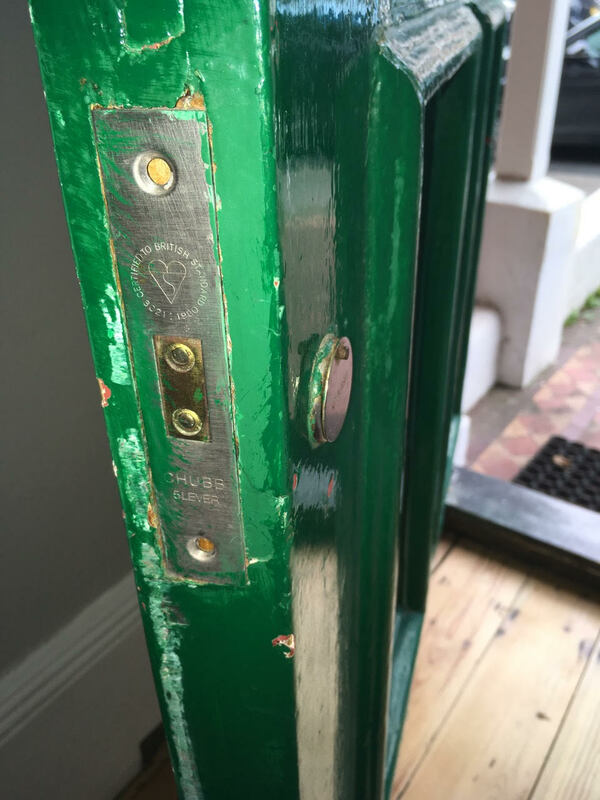 LBP locksmith Brighton recently did a mortice lock upgrade. We received an enquiry from a customer who was concerned their existing mortice lock didn’t meet the current British standards. 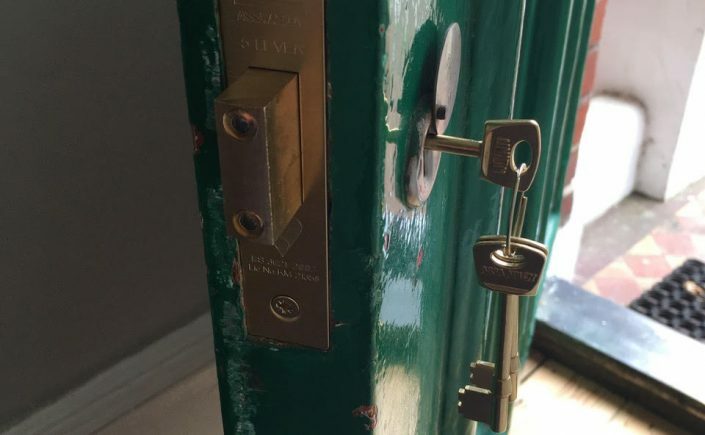 LBP locksmith Brighton were unable to say whether or not the lock met the standards without seeing it, so we arranged to view the lock and give a no obligation quotation to change it if it didn’t meet the standards. Upon arrival we told the customer their lock didn’t meet the standards. After giving them a price the customers agreed and we upgraded the lock there and then. The customers were very pleased with the communication and workmanship from LBP locksmith Brighton.